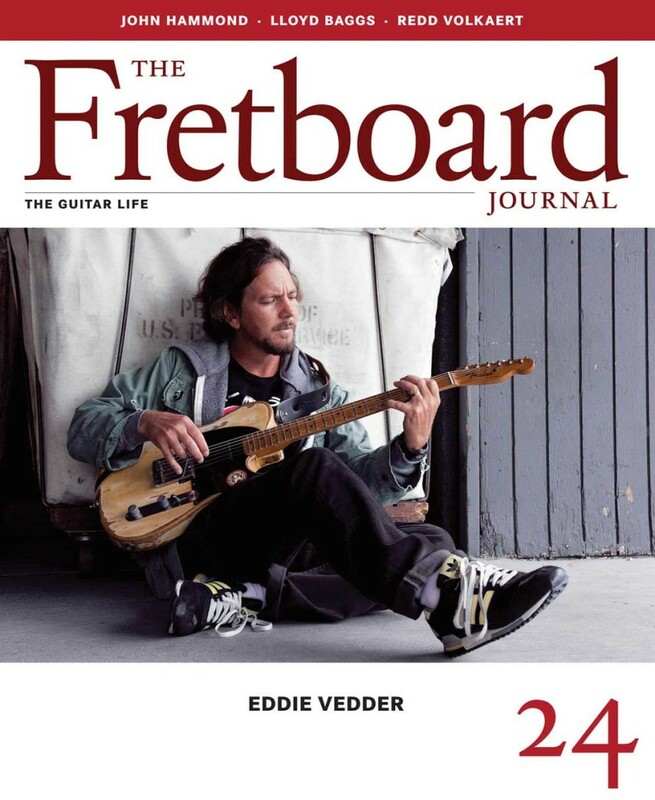 In Fretboard Journal #24 we have a lengthy interview and photo shoot with Pearl Jam’s Eddie Vedder. We talked to Vedder about the 20th anniversary of his band, his songwriting process, his guitar collection and, of course, ukuleles (he has a stellar ukulele album out now, in case you didn’t know). This 18-page feature contains exclusive new photos of Eddie and his gear, too. Also in this issue: a great tribute to the late Robbie Basho, Telecaster whiz Redd Volkaert, bluesman John Hammond, a photo essay from Wartrace, Tennessee’s Gallagher Guitars and a lot more. As always, every issue of the FJ is 128 pages long and filled with exclusive photography and in-depth stories you won’t find anywhere else. Advertising is kept to a minimum and limited to gear makers and dealers we think you’ll love. If you’re a guitar nut, this magazine is for you. Subscribe today and we’ll make sure you get issues delivered straight to your home (and at a discount) before anyone else. FJ publisher Jason Verlinde talks to Pearl Jam’s Eddie Vedder about the craft of songwriting, his love for ukuleles and much more in this 18 page feature. 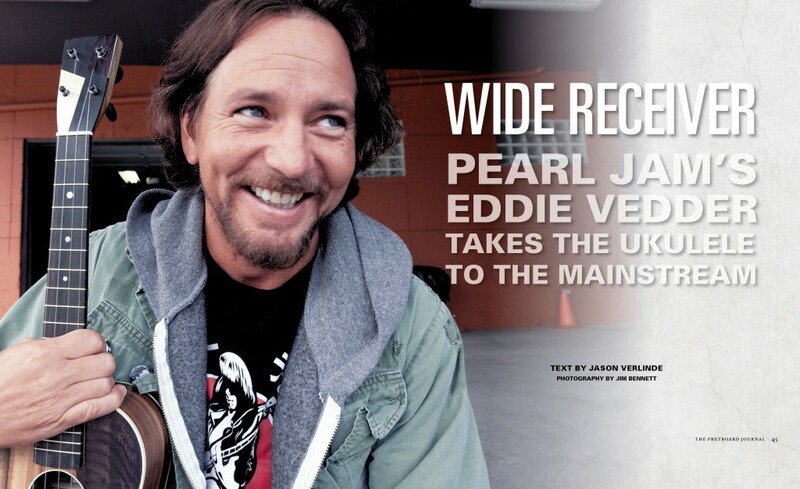 Included are exclusive photographs of Vedder and his guitar (and uke!) collection taken by Jim Bennett. All told, it’s a rare, lengthy interview with one of the most popular musicians of all time. Some of the most beautiful inlays ever put on musical instruments can be found on late 1800s and early 1900s banjos. 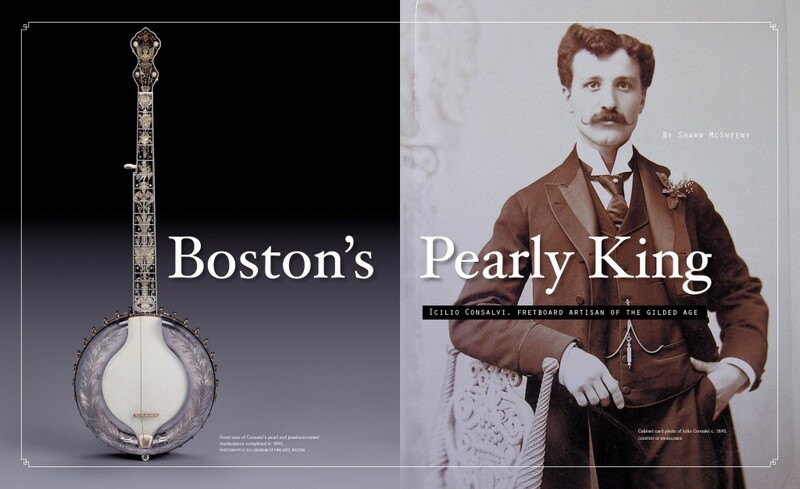 Shawn McSweeny connects the dots to discover the tie that many of these instruments have: they were the work of Boston-based craftsperson Icilio Consalvi. A fascinating look at one of the unsung heroes of fretted instrument art. 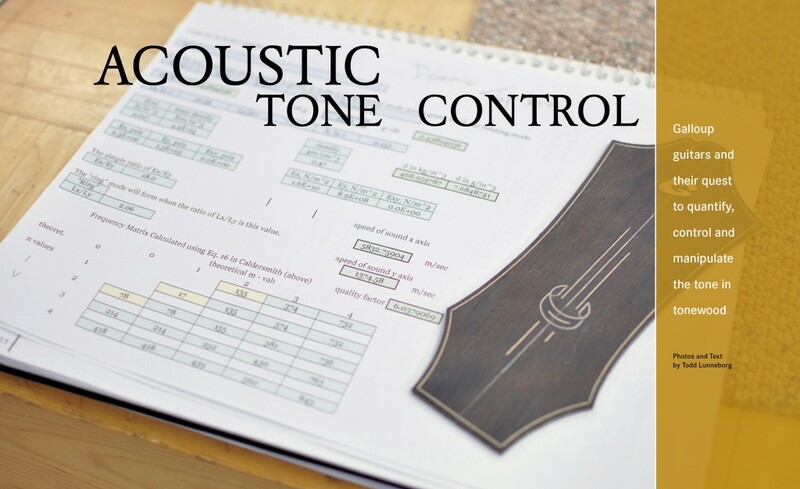 Like a lot of builders, Bryan Galloup is on a mission to make the greatest sounding acoustic guitars he can. To reach this goal, Galloup has taken a scientific approach to his tonewoods: he’s spent several years trying to measure and document the sonic qualities of his materials. Luthier Todd Lunneborg visits Galloup’s workshop to learn a bit more about how Galloup does his magic. In the early 1960s, J.W. Gallagher started building inexpensive guitars for Slingerland, the drum company. Eventually, he would set out on his own to build some of the nicest acoustic guitars of the era as Gallagher Guitars. In this photo essay, frequent FJ photographer Amanda Kowalski goes to Wartrace, Tennessee to chronicle this family run business’ history and captures some of the gems of the company’s guitar collection. 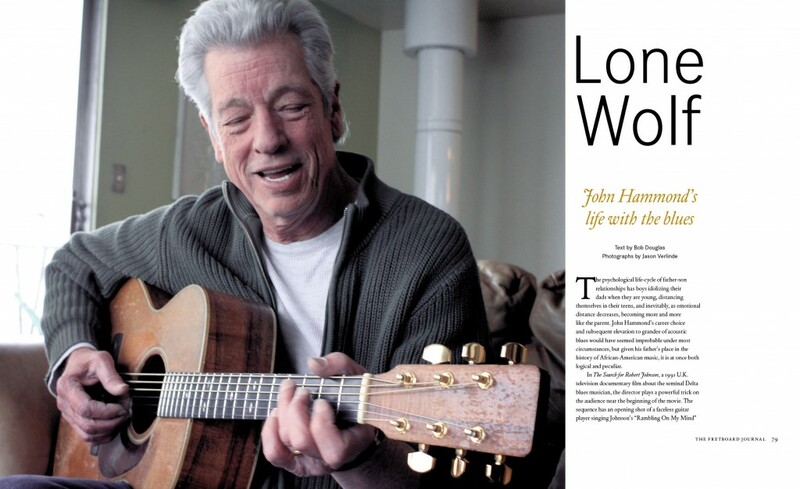 Bob Douglas talks blues with John Hammond. The guitar master regales us with tales of playing with Son House, Bukka White, Mississippi John Hurt and others. Also included: photos of his Stubbs’ 000-sized acoustic and 1935 National Duolian. 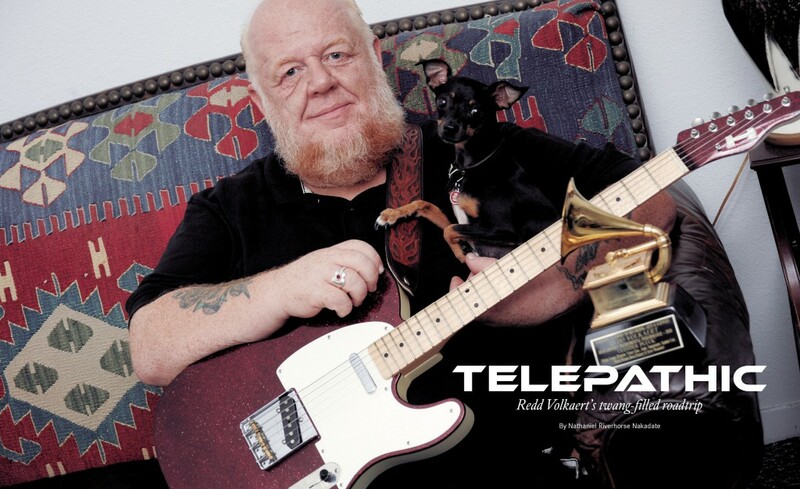 How did Redd Volkaert get to be such a Telecaster master? The answer is pretty simple: he’s been playing constantly since he was a teenager. Writer Nathaniel Riverhorse Nakadate and photographer Kerry Bayer travel to Austin, Texas to meet Volkaert and discover that, even as a young teenager, the guitarist was practicing 10 hours a day on the guitar and constantly gigging. We get a glimpse of Volkaert’s favorite guitars, too, including his 1951 Fender Nocaster, his 1958 Fender Esquire and Hahn Telecaster. Though he was a true guitar virtuoso and innovator in the ‛60s and ‛70s, musician Robbie Basho is still a mystery to most. Unlike the recordings John Fahey or Leo Kottke, much of Basho’s Asian-influenced music is still challenging to modern listeners. 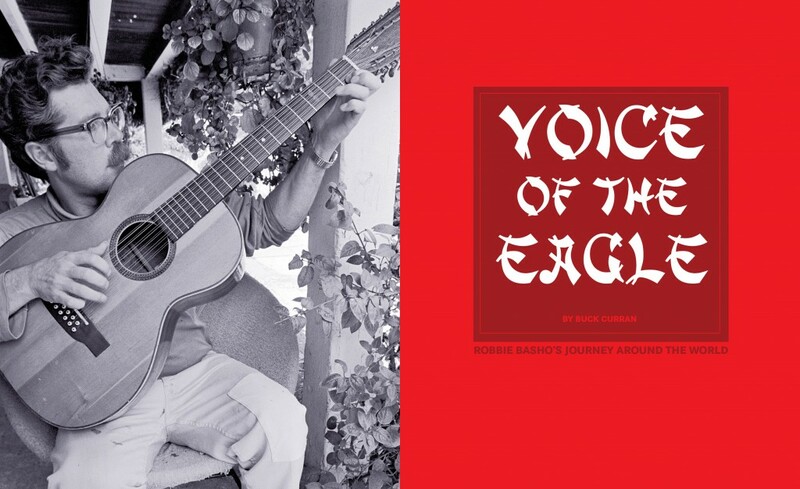 In this 12 page tribute, luthier and musician Buck Curran demystifies this unique musician and walks us through Basho’s important recordings. We also read about the impact he had on other guitarists. 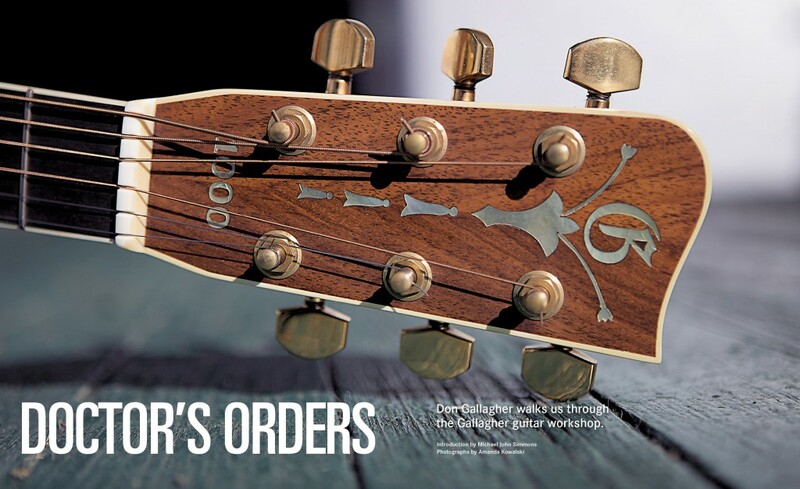 Get four issues of the keepsake Fretboard Journal for just $44.